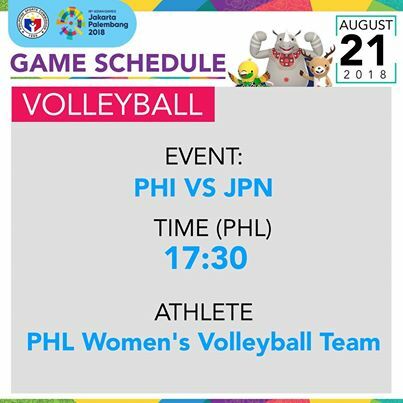 The Philippine women’s national volleyball team will try to bounce back in their match against Japan in the preliminary round of the 2018 Asian Games Women's Volleyball Tournament. The Philippines suffered a straight-sets loss to Thailand in their opening game. Here are the details for Philippines vs. Japan in the Preliminary Round of the 2018 Asian Games Women's Basketball Tournament.